New Zealand's Prime Minister Jacinda Ardern said on Monday that her cabinet had made decisions in principle around the reform of gun laws following the mass shootings in Christchurch. She told a news conference in Wellington that more details would be made available before cabinet meets again in a week's time. "This ultimately means that within 10 days of this horrific act of terrorism we will have announced reforms which will, I believe, make our community safer," she said, adding that an inquiry would look at the lead up to the attack and what might have been done differently. Police Commissioner Mike Bush said there would be a strong police presence with 200 extra police staff on duty and that New Zealander's should return to their routines. “You will see a highly visible police presence on the streets, around your businesses, around your schools, and even in the air, right across the country...So you will feel safe to go about what you want to do,” the police commissioner said on Sunday. Read more: New Zealand's Ardern says gun laws will change- But what are they currently? Australian Brenton Tarrant, 28, a suspected white supremacist, was charged with murder on Saturday and was remanded without plea. He will return to court on April 5. Bush said the suspect was the only person charged for the attacks and was likely to face further charges. Another man has been charged with firearm offences, which was unrelated to the deadly shootings. The Prime Minister labelled Friday's attack as terrorism and said the suspect had sent a 'manifesto' to her office nine minutes before the shootings, one of which was live streamed on Facebook before it was removed. Ardern also said there were "questions to be answered" about the role of social media in circulating such a video. 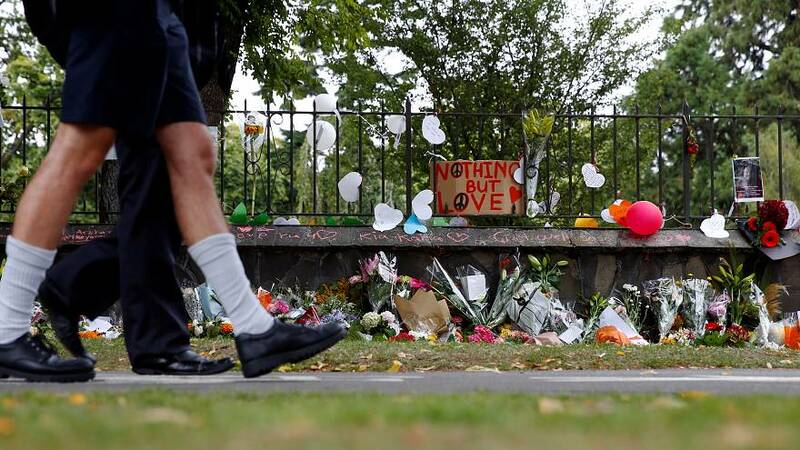 Who are the victims of the New Zealand mosque shootings?